I was going to post my recipe for Sweet Potato and Chorizo Hash last night but we got home from vacation and there was mysteriously bird poop all around the inside of the house. Where’s the bird? No idea (frightening). 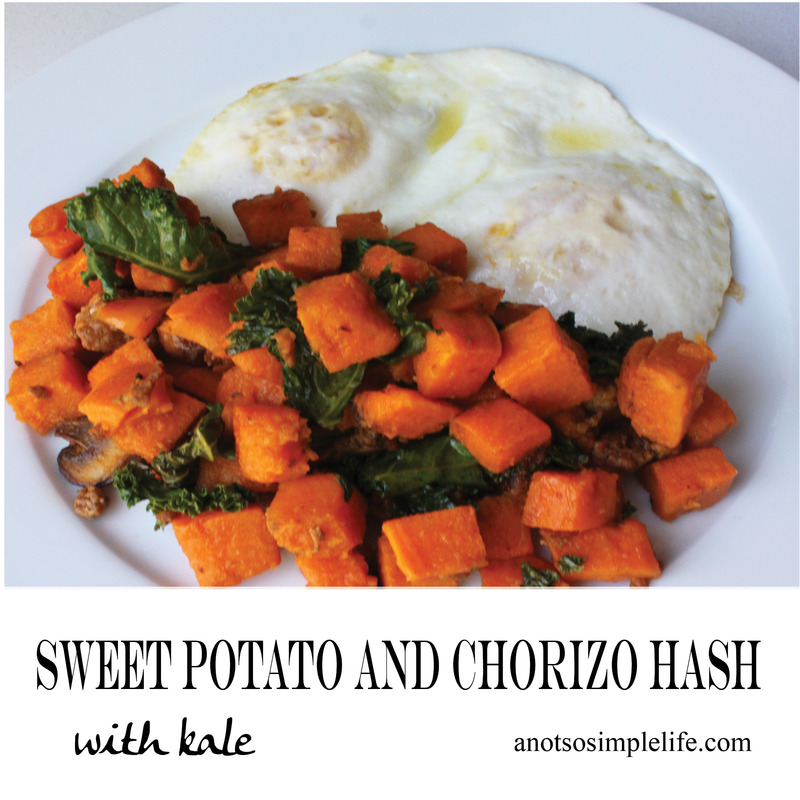 Anyways, so the hash recipe will come soon enough, until then, here’s a super simple recipe that’s a great base for a bunch of recipes I make all of the time (see the list below – includes the hash I will be making soon). All of them are gluten free, dairy free, soy free, and nut free. I started making sweet potato cubes and butternut squash cubes when my little man was introduced to solids at around 7 months because they are soft to eat with little to no teeth, and easy for tiny fingers to grab while we were doing baby led weaning. I did originally start my little man off with purees but he wasn’t really into them. He enjoyed practicing his pinchers and gnawing on stuff much more. For some reason, at around 2 the little man started refusing to eat butternut squash and sweet potatoes (unless they are restaurant made sweet potato fries). I made some delicious Homemade Sweet Potato Fries in Grass fed Tallow (beef fat) but he wouldn’t even try them. On the other hand, my husband walked into the house asking loudly what I was cooking because it smelled so good. He, who also does not eat sweet potatoes, gobbled the fries up. Reason for the segway, I love eating sweet potatoes, squash and carrots plain but I’m always on a misson to try and increase my son and husband’s intake of vitamin A rich foods (orange veggies like butternut squash, sweet potatoes, carrots) because of it’s help in boosting the immune system (check out my immune boosting 3 day meal plan here if you ever feel an illness coming on!). Also, if you have any kid friendly recipes to share please do! 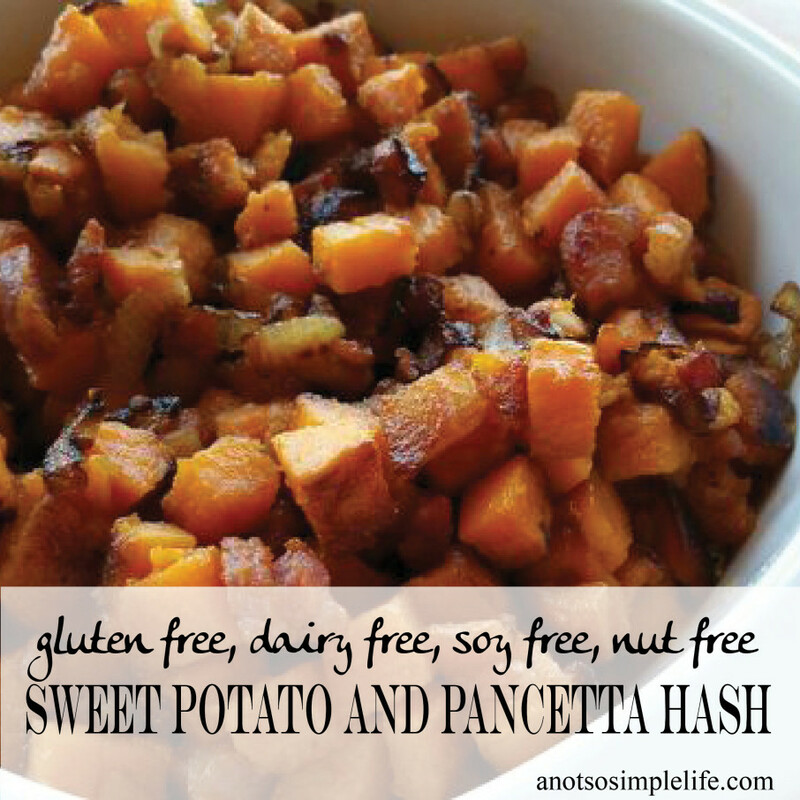 For now, this recipe will be used only as a base for lots of other recipes that I create to try and get my LO to eat sweet potatoes. Preheat the oven to 400 degrees. 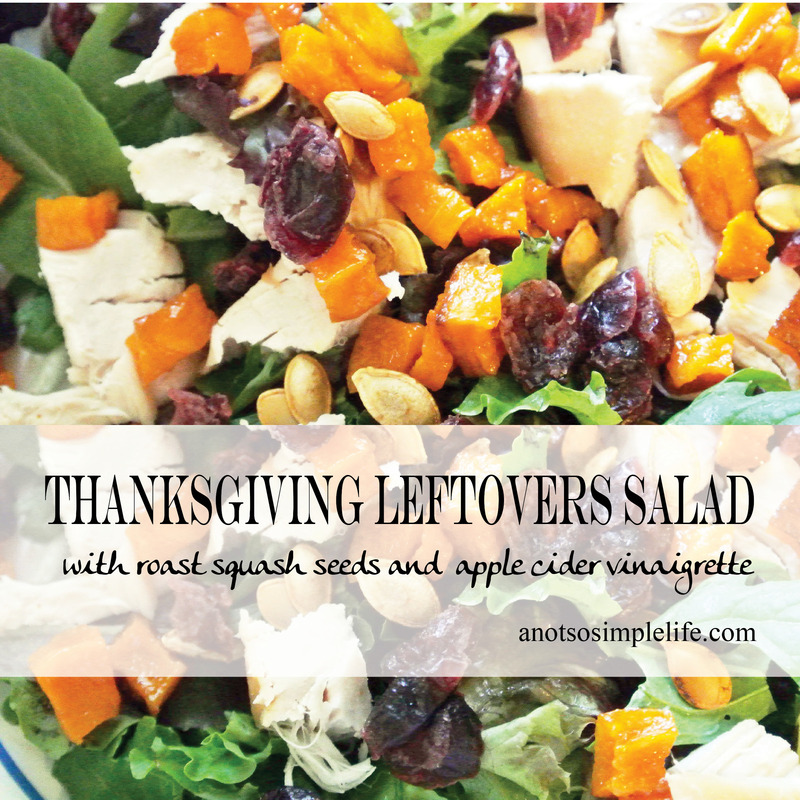 Peel your sweet potatoes or butternut squash. I personally use a peeler for my sweet potatoes. I use a sharp knife to cut the skin off of my butternut squash although you could use a peeler but you’ll probably have to peel it twice. 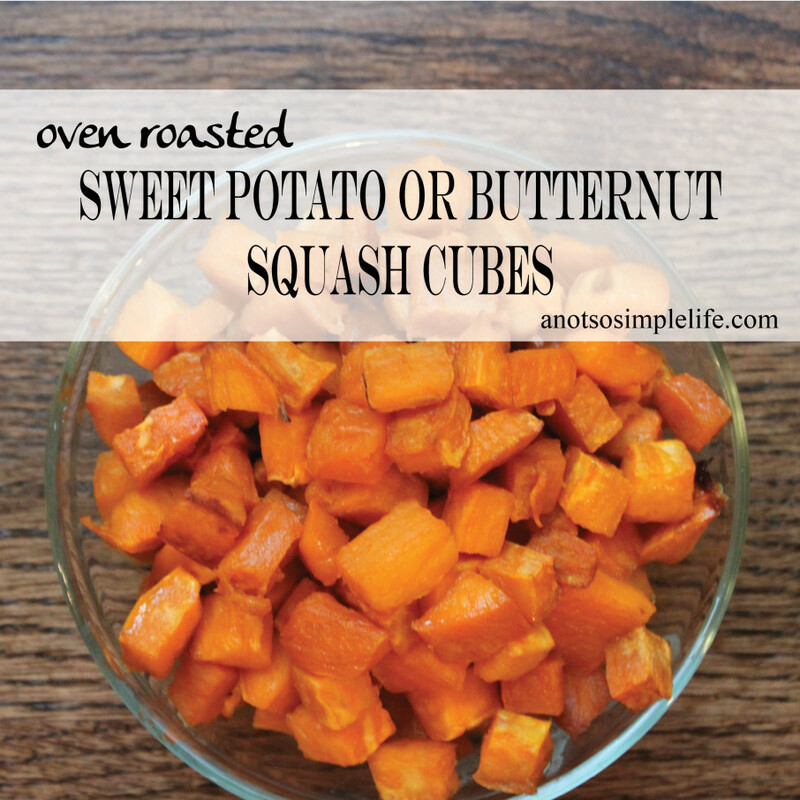 Cut your potatoes or squash into ½” cubes. Make sure they’re cut evenly so that they cook evenly. 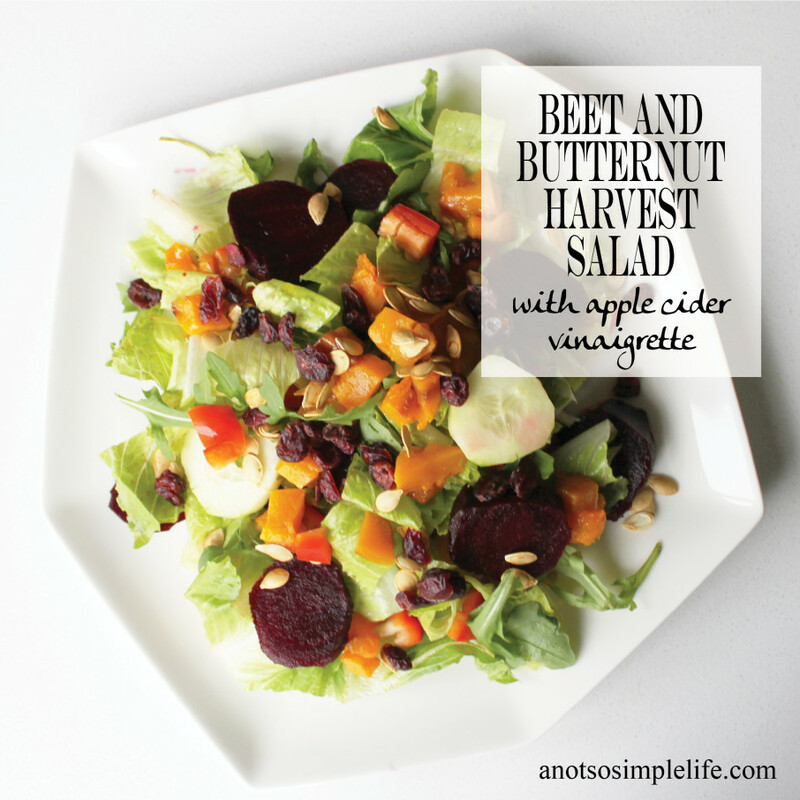 Drizzle the avocado oil onto a baking sheet or large glass baking dish. Roast for 20 minutes or until cooked throughout. 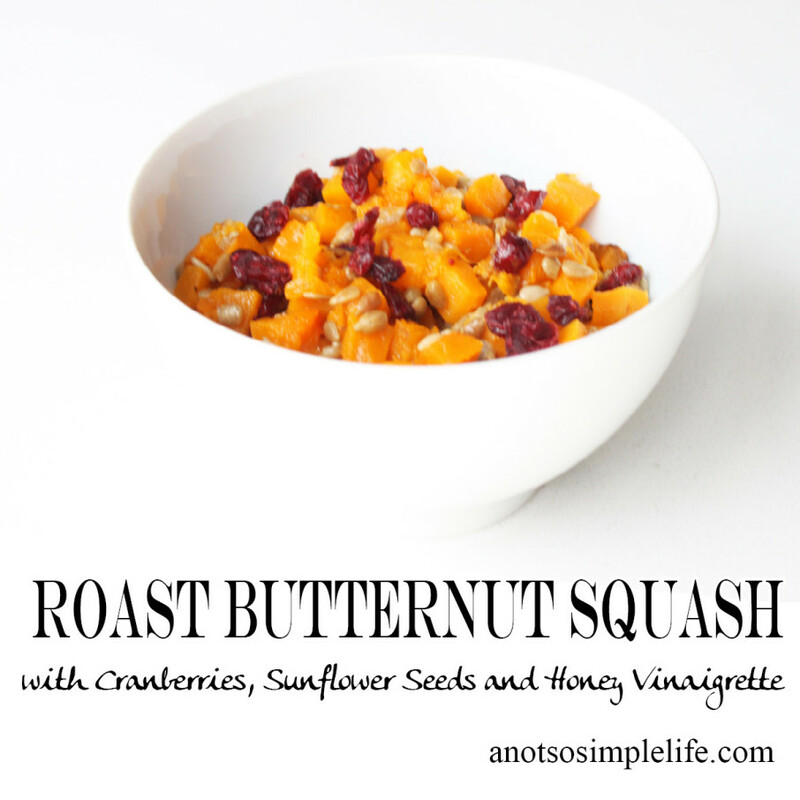 Try these cubed sweet potatoes or butternut squash in these recipes…..